The “RO Operations and Maintenance Workshop” was held at the City of Fort Worth Westside WTP on April 12,2018. 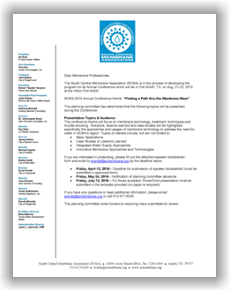 Membrane Plant Operator Training MOC II: Advanced Training of Reverse Osmosis & Nanofiltration Systems Please check back soon for more information and registration. RO Operations & Maintenance Workshop Please check back soon for more information and registration. Low Pressure Membrane Workshop Please check back soon for more information and registration. Copyright © 2019 South Central Membrane Association (SCMA). All Rights Reserved.